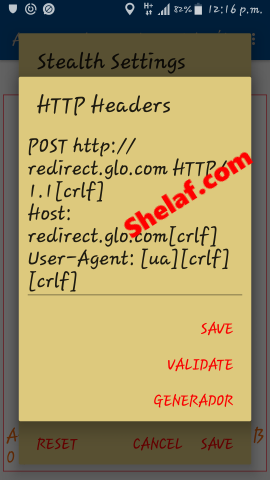 AnonyTun is not a new VPN to you guys, we have been using it with Glo Unlimited and Etisalat 0.0kb Free Browsing for a while, but you will notice that the official version of AnonyTun is full of annoying ads. For those that are using it to browse with Glo 0.0kb Free Browsing, I can see how you people lament over the disturbing pops up advertisements and instability, the solution is here! Kudos to whoever devoted his time to modded AnonyTuns Beta and cleared up the annoying advertisements. Here comes a cracked version of popular AnonyTun VPN called AnonyTun Beta V5.0. Unlike the regular version, this AnonyTun VPN Beta apk has no ads and it fixed frequent disconnection issue. Anonytun Beta V5.0 is quite difference with the official AnonyTun. Both the official version and cracked version have the same interface and same configuration setting, but the background color is different and language preference of AnonyTun Beta is in Spanish. Note: You don't need to uninstall the official AnonyTun VPN. You can install both of them on your phone and run them on your choice. 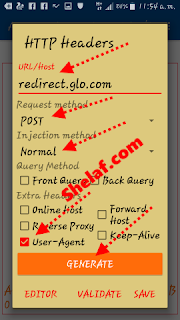 Now, let's go on with the settings of the Glo 0.0kb unlimited free browsing using AnonyTun Beta v5.0. Name: anythingAPN: glosecureAPN Type: Default, SuplProxy: BlankPort: BlankUsername: securePassword: secureLaunch AnonyTun Beta. Click on CONECTAR, wait a few seconds for AnonyTun Beta to connect. Don't Forget To Drop Your Comments And Share This Post With Friends. 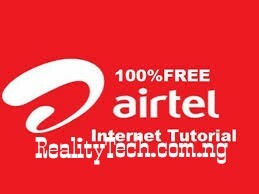 Stay Connected To Realitytechs.com.ng By Subscribing To Our News Feed Using The Subscribing Box Below For More Updates Like This.